For reasons, girls think you're unattractive. certain things that put girls off. And prevent them from getting to know you and seeing the wonderful person you really are. Of course being attractive isn't the be-all and end-all of life. But the way you present yourself to the world does matter. A lot of people are guided by the first impression. So, you can give yourself a better chance of succeeding in your love life. If you know what does and doesn't attract girls. Check out these four reasons why you might be failing with the ladies and what you can do instead. But first and foremost make sure to subscribe to our blog. #1 A bad sense of humor. You can be smart, handsome, and successful. But if you have a bad sense of humor you probably won't have much luck with the ladies. Having a good sense of humor can work wonders for men. It's a very attractive feature that proves you can make light of heavy situations. You can look on the bright side of things and that you have healthy coping mechanisms for stressors. You have to be careful though! If you're doing it all wrong it can be a relationship killer. Maybe you think you have an awesome sense of humor. But in reality, you make insensitive and offensive jokes. because they don't get your wisecracks. Then your sense of humor might need some revamping. If you're the only one that finds your jokes funny. For a girl, being in this sort of situation can be torturous, trying to smile or giggle at every bad joke yet looking away awkwardly at any chance she gets. If you keep on being the clown in life when people aren't responding, you come off as being unable to read social cues and body language. It also shows that you may not be a very good listener or communicator and those are vital aspects to have a relationship with someone. and you respond with the offense and hurt they'll more than likely decide it's better to not get involved with you. #2 The clothes you wear. Nobody said there's anything wrong with being comfortable. But if you're doing it at the cost of looking presentable, then girls will probably decide to pass on you. 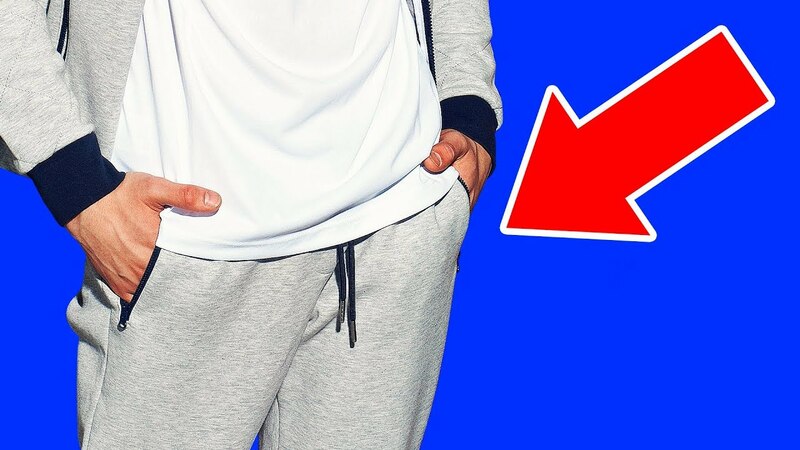 There's a time and place for hoodies, sweatpants, flip-flops, and gym shorts. Sure these items can be super comfy. But if you wear stuff like this everywhere you go including on a first date with a girl or two class presentations or work. Then it looks as if you're out of touch with what the situation requires. Also, if you have the habit of wearing clothes that are two sizes too big, then it looks as if you're trying to hide something or that you lack confidence. On the other extreme, if you wear clothes so tight that you can barely breathe, you may come off as seeking too much attention. There's nothing better than clothes that fit you well and are appropriate for the situation at hand. you know you'll get dirty. But that's basically it! If you're going to a restaurant the movies or on a date. Leave your home wear where it belongs, at home. Perhaps you have an old t-shirt with sentimental value. That's fine just try to wear it around the house or maybe tuck it away in a drawer as a keepsake. Whether you like it or not people form an impression of someone within 7 seconds of looking at them. graphic tees in your closet now's a good time to make sure they represent who you really are. If you have an inflated ego chances are girls will find that unattractive. If you love to talk about yourself point out all of your accomplishments and be the top dog in every situation then you'll quickly put people off. Having a big ego is a warning sign for a girl that you might be hiding your insecurities or compensating for something you're missing. Confidence is attractive but cockiness is not. If this is one of your issues then make sure to tone it down. Show, genuine interest in the girl's passions ideas and the things she cares about and learn to listen. However, if you're on the other side of that coin that is you have really low self-esteem and can never put in a good word for yourself. Then that can be problematic too. If you constantly put yourself down girls might see it as a lack of confidence. I mean negativity isn't exactly a turn-on for most people. Plus, if your sense of humor is strictly self-depreciating, girls may start to believe the negative things you say about yourself and if they believe it the attraction will quickly fade away. Cleanliness is an important aspect when it comes to attraction. when people see something dirty or smelly their natural reaction is to move farther away or wrinkle their nose. you don't want to elicit the same reaction, especially from a girl you're interested in. Being clean doesn't mean taking a shower every day. Check to see if you're guilty of the following turn-offs. sweat is not a pleasant sight. Clean teeth talking to someone who has food stuck in their teeth can be super awkward. Do you ever check your face and mouth in a mirror after eating? This doesn't mean you have to carry a mirror or be checking your face all the time. Just be a little more conscientious after meals. Controlling smells if you don't keep up with your hygiene your body will smell to others even if you can't sense it yourself. The stench that can come from the human mouth is particularly something to be aware of and it's not just about brushing your teeth every day. It's also a matter of being mindful of what consume. If you have a weakness for dishes with onion or you drink a lot of coffee that might be the reason why the girl of your dreams is keeping her distance. All this can show a lack of self-awareness or that you're too lazy to take care of yourself properly. Here are some tips to avoid being perceived as unclean. If you have facial hair keep it well groomed and clean. Use a mirror to check your teeth and face for food after eating. Trim and clean your nails regularly and don't chew on them. Control bad breath by brushing and flossing daily. It also helps to keep some mints or gum on you after meals. Control your vo by using deodorant and taking a shower every day. Wear clean clothes each day too. Grabbing a shirt from the bottom of the hamper won't cut it. Are you guilty of any of these no no's? What do you think is most important when it comes to being attractive? Tell us in the comment below.